"Blini" is a small light Russian pancake generally served hot with melted butter, sour cream, and other garnishes such as caviar. In the modern cuisine, Blinis are served with salty or sweet garnish, conventional or extravagant, these small treats are always loved. If you want to add originality to your evenings with friends or to your holiday party’s, this compelling and multipurpose appetizer is the ideal formula. 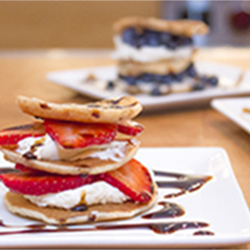 These small pancakes are very appreciated as appetizers or tapas, let your imagination take over you, invent and enjoy ... 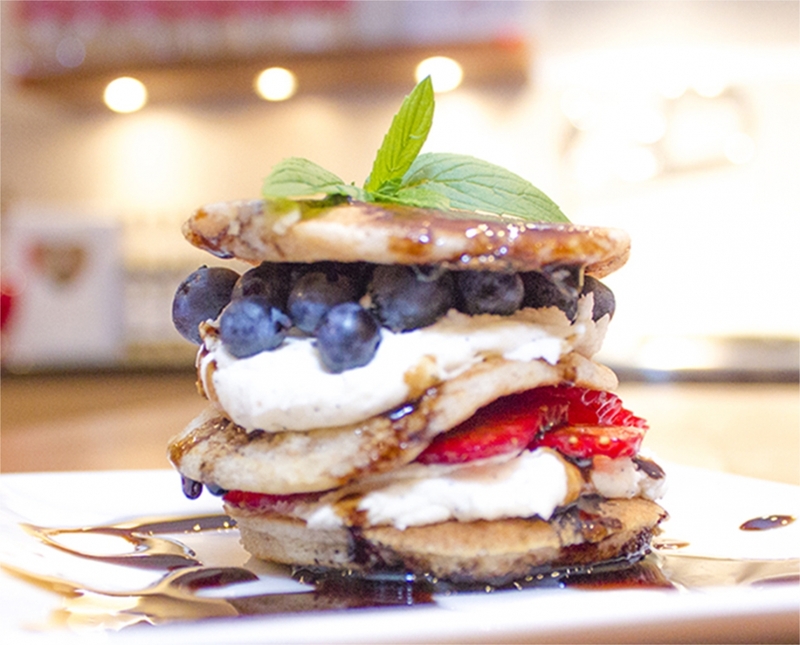 This fruit blinis recipe can differ depending on the fruits you have, or season, serve it as breakfast or desert. Cut vanilla bean in 2 on length and scrape the inside of the pod using back of knife to extract the seeds. 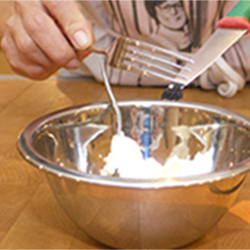 Add vanilla seed to mascarpone (or your whipped cream) and mix well. Pour maple syrup and Balsamumm in a bowl and mix well. Transfert in a decorating bottle with nozzle and set aside. 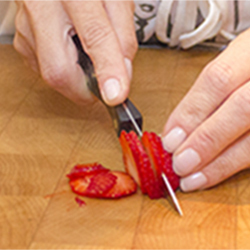 Clean and slice strawberries and set aside. 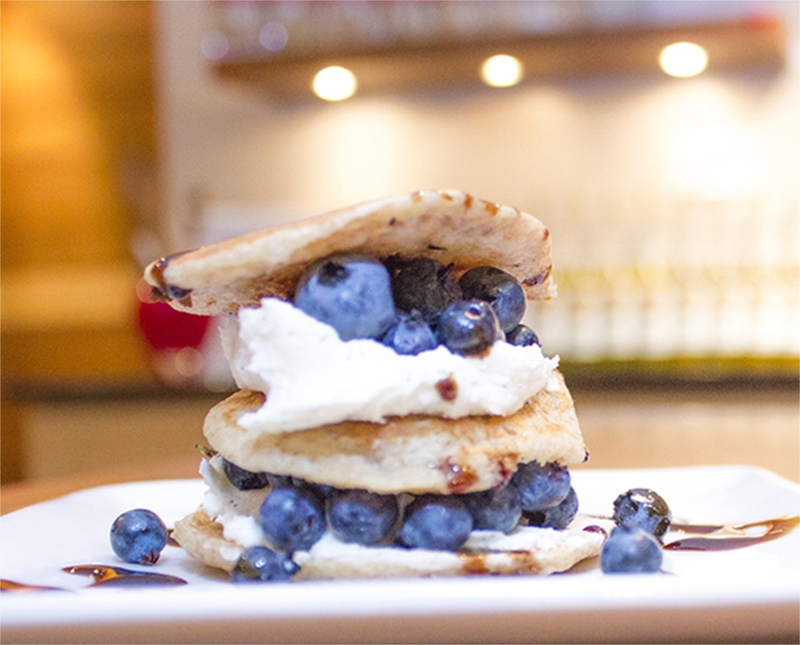 Coat first blinis with mascarpone cheese or whipped cream, add a few strawberries. Coat the second blinis and add on top of strawberry. 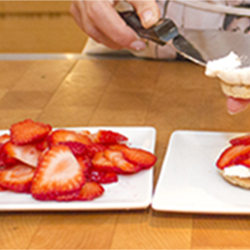 Add another layer of fruit and using your decorating bottle, make a design with the Balsamumm maple syrup mixture. 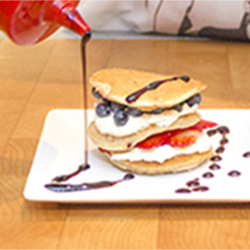 Suggestion Make this recipe with whipped cream to have a shortcake style dessert. Garnish suggestions Pear, Nutella, mascarpone and balsamic coulis. 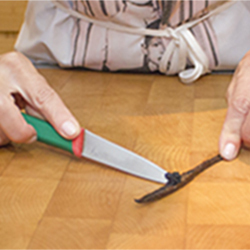 1 - Cut your vanilla bean in 2 in length. Scrape the inside of the pod using back of knife to extract the seeds. 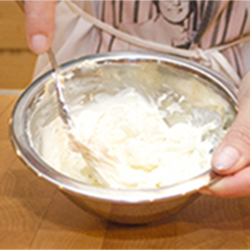 2 - dd vanilla seed to mascarpone (or your whipped cream). 4 - Pour maple syrup and balsamic vinegar in a bowl. 6 - Pour in a decorating bottle with nozzle and set aside. 7 - Clean and slice the strawberries and set aside. 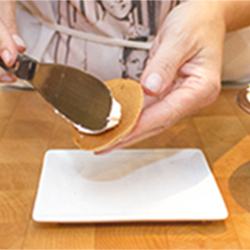 8 - Coat first blinis with mascarpone cheese or whipped cream. 9 - Add few strawberries, coat the second blinis. 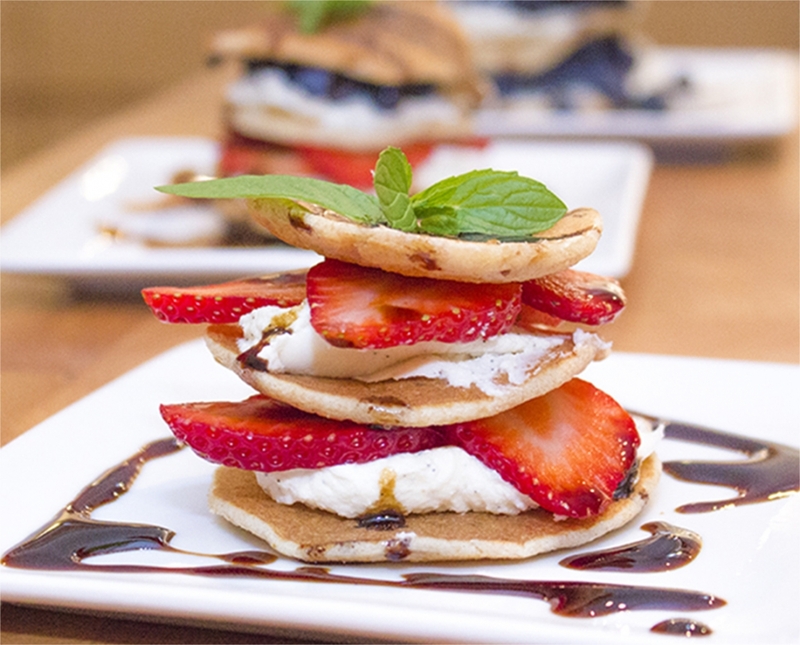 10 - Add second blinis on top of strawberry and add another layer of fruit. 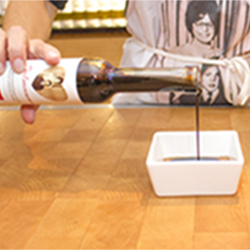 11 - Using your decorating bottle, make a design with the Balsamumm maple syrup.